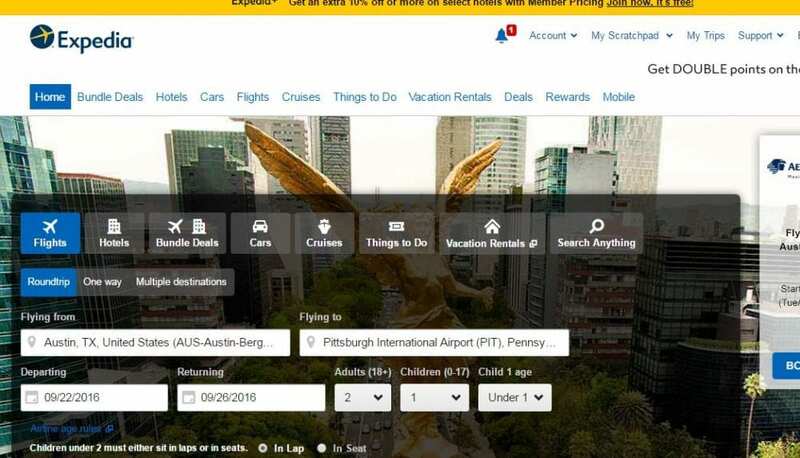 While booking a flight last month for a quick trip back to Pittsburgh for my mom’s birthday party I immediately went to www.expedia.com. Even after moving to Dallas a few years back and going all in on DFW based American Airlines including racking up as many miles as possible on my AA credit card, I never go directly to their site. And here is the kicker: I don’t think American Airlines minds one bit. And why should they? Every negative of this model is outweighed by 20 positives. And now I am going to through a real curveball at you. My flight I booked for vacation in July? I ordered on their mobile app. And also changed my seats (at an additional cost of course – I am annoying and need an aisle seat) which provided additional revenue streams for American Airlines. The first time I ordered a plane ticket through an online aggregate was about 17 years ago and at that time it was basically a search engine with an integrated payment processor. Which was fine. But the sites evolved from searching for flights, to purchasing flights, to adding in related travel or amenities partners, a mobile app and now integrating as many revenues streams (seat upgrades for example) that aid in profitability for the partners. The sites and airlines have grown with the times. They follow the revenue streams, they follow what the consumer wants, and they follow beneficial data and modern marketing outlets. Keep in mind it is not only that airlines benefit from this overall model including increased marketing (like the secondary covers for ticketing) or that they have no choice at this point. It is that they have gone full in with no hesitation. While the airlines and other partners generate revenue from the intense marketing reach, increased data and consumer information, scalability, integrations and revenue streams there is also another big winner in all of this: The Consumer. You are no longer tied to flying one airline to and from your destination. You are no longer tied to hours searching or on the phone looking at prices, you no longer have to go to additional sites for other relevant vendors such as car rentals, you no longer need various log ins to upgrade your purchases, and you are in more control of your actions as a consumer. And this is where ticketing comes in. While it has been a long, slow process you are finally starting to see a trend where the digital avenues are being embraced by rights holders. At TicketCity we are moving to make changes that create positive revenue streams for our partners and those right holders as well as a more consumer friendly experience for our customers. Because we sell for multiple events nationally we are able to invest resources into technologies like integrations or mobile that one entity or rights holder can not. And deliver a full digital and branding marketing scope as well. So why not take advantage of this similar model? These current and future integrations will provide teams and venues the ability to move distressed inventory at better much prices, increase profitability on top selling events, win long term customer support, find new customers and continue to evolve into the future just as the airlines have. Mike Guiffre is the Vice president of Sales for TicketCity. Mike can be reached at [email protected], on Linkedin, or on Twitter @mjguff.